Every living being has the instinct of Infinite Life. That instinct, that urge, must be allowed, cultivated, even educated. Avatar Adi Da Samraj devoted his life to the realization and communication of the indivisible Reality and prior unity in which we all appear. The Adi Da Foundation is dedicated to making Avatar Adi Da’s Reality-communication and Spiritual Blessing known and available to all. Explore Avatar Adi Da’s writings and artistic works, and participate in his vision for a transformed human culture based on prior unity. 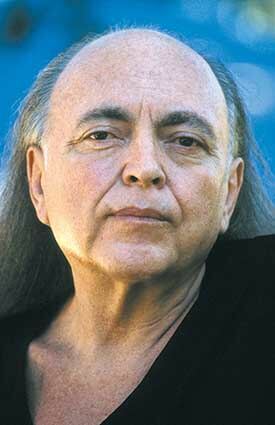 Avatar* Adi Da Samraj (1939 – 2008) is an extraordinary presence and a unique intervention in human history. He lived entirely for the purpose of revealing the Truth of our human existence, and to make the perfect realization of Reality and Truth possible for all. He worked through many mediums to fulfill His great purpose, producing a vast body of spiritual, philosophical, and literary writings, artistic images, and gifts of practical wisdom and Spiritual Blessing to all of humankind. Essential to Avatar Adi Da’s Teaching is that Reality Itself is an indivisible “Prior Unity”, and that living beings only seem to be discrete and separate entities. Uninspected forces and habit-patterns govern virtually all of our thoughts, feelings, and actions. These create—and continually reinforce—the primary perceptual and philosophical illusion that we are each a detached and independent “self”, irreducibly separate from the external world and all “others”. Avatar Adi Da revealed and fully demonstrated that, in truth, all beings and things are “merely apparent modifications” of Consciousness Itself—the Prior Condition in which everything seemingly appears and ultimately vanishes. 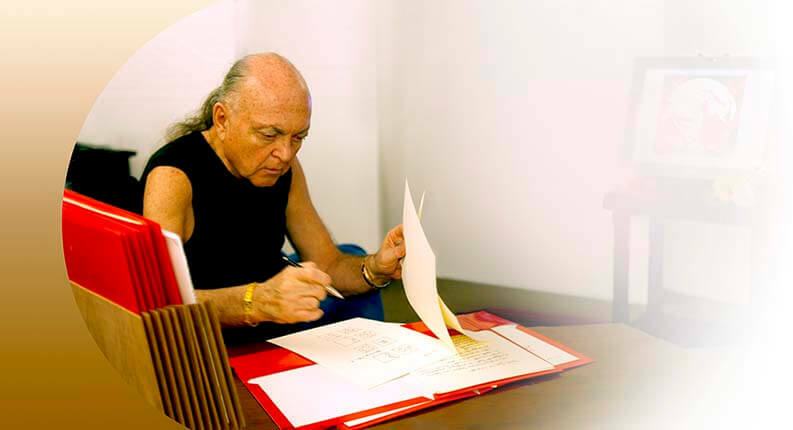 During his lifetime, Avatar Adi Da Samraj created a truly immense legacy—including unparalleled spiritual, philosophical, and practical wisdom, powerful works of literature and visual art, and invaluable guidance on how to bring peace to the world. He intended that these gifts serve the transformation of human culture and establish global civilization on an entirely new basis—founded in prior unity and the true, egoless (or non-separate and indivisible) nature of Reality. Something entirely new is required—something comprehensively right. My entire life has been spent in working to establish the basis for a new and comprehensive culture and to bring about a "Bright" transformation of the totality of humankind based on Prior Unity. My image-art is a summation, in artistic terms, of the work I have done. Similarly, the books I have written are a summation, in literary and philosophical terms, of that same lifetime of work. My lifetime of work has always been about rightening of human existence, and the transcending of what is binding human beings and leading them on a destructive course. What is now required is an epochal change in the history of human endeavor. A transformation of human understanding and of human processes altogether must occur. Avatar Adi Da’s communications of Reality, Truth, and Beauty are profoundly relevant to people of all cultures, faiths, and traditions, and to the future of humanity and the world altogether. A new kind of human consciousness is required—based on the working-presumption of Prior Unity, and on an understanding of the indivisibly single world in which everyone is living. This involves not only the notion that there is such a single world, but it requires grasping the necessity for cooperation, and the necessity to function on the basis of an understanding that the Earth is a single system, and humankind (likewise) is a single whole. The Adi Da Foundation invites you to learn more about Avatar Adi Da’s offerings through the news articles and essays presented on this website. needs to be the basis for life in human society. Illuminate the mortal, human heart. incendiary heart of ego's "I". That is its true purpose. The Adi Da Foundation is purposed to make Avatar Adi Da Samraj and his unique communication of Truth perpetually known and available to all. Throughout his lifetime, Avatar Adi Da Samraj worked to provide means for people to participate in True Profundity, in what he calls “Reality Itself, Truth Itself, and The Beautiful Itself”. The Adi Da Foundation extends these means to allow all of humankind to participate in this Profundity. Specifically, the Adi Da Foundation offers access (through publications, exhibitions, theatrical enactments, and other means) to Avatar Adi Da’s extensive body of spiritual, philosophical, and literary writings, and to his critically-acclaimed visual art that offers a unique visual communication of his realization of Reality and Truth. The Adi Da Foundation serves Avatar Adi Da’s intention to uplift and illuminate one and all, to bring about a transformation of human understanding, and to establish the basis for a new human culture based on “prior unity”—the indivisible oneness of Reality Itself. The Adi Da Foundation conveys and promotes Avatar Adi Da’s prophetic insistence that living in the working-presumption of prior unity is the necessary and only basis for a peaceful and sustainable future on Earth. 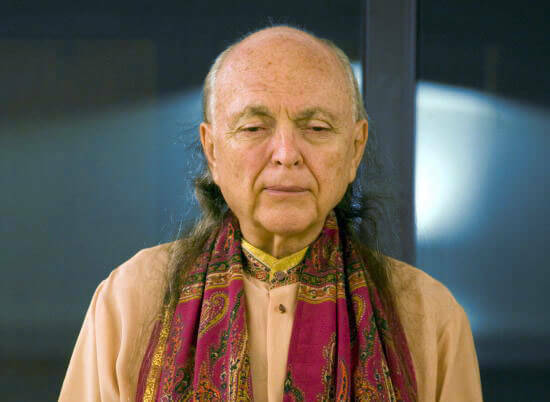 The Adi Da Foundation consists of four operational elements that serve to make known the transformative power of Avatar Adi Da’s philosophical, spiritual, literary, and artistic works. Adi Da’s vision was for every person on earth to be educated about Truth—based, ultimately, on the recognition of consciousness itself as the transcendental source-point of human awareness, prior to any sense of duality or difference. Such Truth-based education, he said, frees the individual from all that is divisive, negative, and harmful, allowing each person to live in wisdom—in the positive disposition of prior unity with the beings and things of existence. Throughout his life, Adi Da worked tirelessly to create the fullest possible communication of Truth, as part of his legacy to humankind. Adi Da’s writings and his recorded talks cover the full spectrum of transcendental philosophy—in other words, philosophy that accounts for all dimensions of Reality, the material dimension and the dimensions that are beyond (or transcending) the material—and the practical wisdom (relative to such areas of life as diet, exercise, sexuality, right livelihood, and so forth) that forms the practical foundation for right human living. The Adi Da Institute produces books, webinars, seminars, and other materials and events to bring education in Adi Da’s teachings about “the Reality-Truth” to the world. The [writings of Adi Da] are the most doctrinally thorough, the most philosophically sophisticated, the most culturally challenging, and the most creatively original literature on radical nonduality currently available in the English language. of Philosophy and Religious Thought, Rice University. 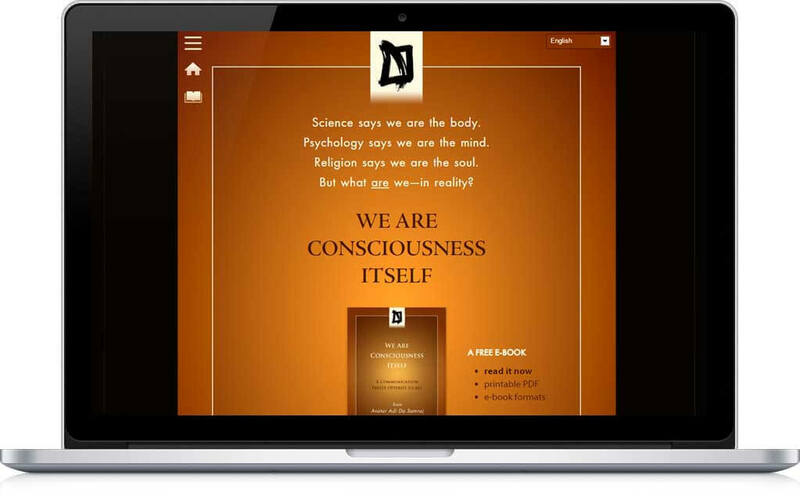 Visit the We Are Consciousness Itself website to read about Avatar Adi Da's wisdom about consciousness and self-identity. Fundamental experience is not the experience of ‘things’. Fundamental experience is the experience of Being Itself, of Consciousness Itself. The self-aware pleasure of existing is the fundamental gift, the Divine gift, the persistent gift that you are tending to ignore. Therefore, to live a truly human life is to become a participant in the real world of always already existing Reality. Da Peace is responsible for communicating the ancient truth, newly revealed by the World-Friend Adi Da, that the world and all existence is an inherent, or “prior” unity. Da Peace invites everyone to consider and explore what this truth means for how we need to live—socially, culturally, politically, and economically. In particular, Da Peace conveys Adi Da prophetic insistence that learning to live in the working-presumption of prior unity (rather than in the presumption of division and separateness) is the necessary and only basis for a peaceful and sustainable future on Earth. In practical terms, the message of Da Peace is summarized in Adi Da’s “Formula for World Peace”: Cooperation + Tolerance = Peace. Living things of all kinds are non-locally connected throughout the biosphere; theirs is a subtle connection that is real although it has been only recently discovered. So-called primitive people did not repress their prior unity. But modern man, homo the knower, homo the wise, did repress the recognition of his prior unity and then, emboldened by his misguided rationality, denied its very existence. We are now witnessing the consequences. Return to unity—to seamless wholeness . . . Utopia? No: it is the uncompromising requirement of homo’s physical, biological, and socio-psychological survival. 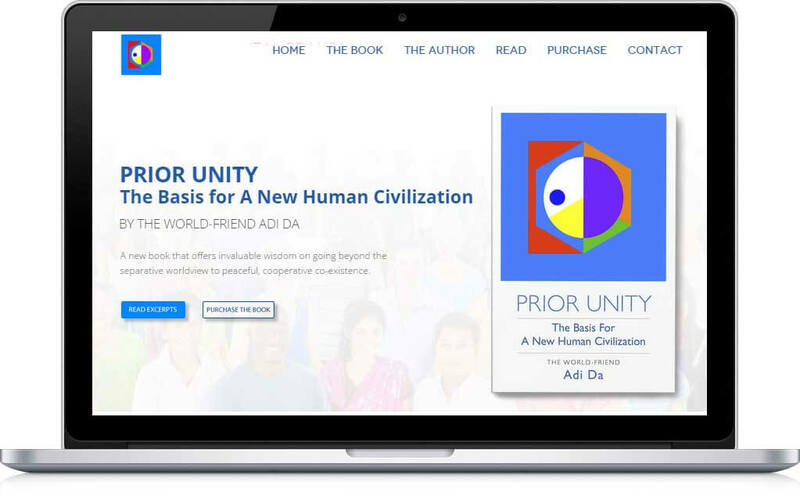 Visit the Prior Unity website to explore Adi Da's book Prior Unity: The Basis for a New Human Civilization. Visit the Not-Two Is Peace website to explore Adi Da's book Not-Two Is Peace: The Ordinary People's Way of Global Cooperative Order. As a human being, recognizing the prior unity of the world, you must have concern for Earth itself, and all the species within it, and all life within it, all structures and forms and processes that are part of the world, including all the non-humans. Adi Da Samraj created art for more than 40 years with a single intention: the visual communication of truth, and the creation of means to draw the viewer beyond the sense of separate self-existence into the reality of indivisible unity. 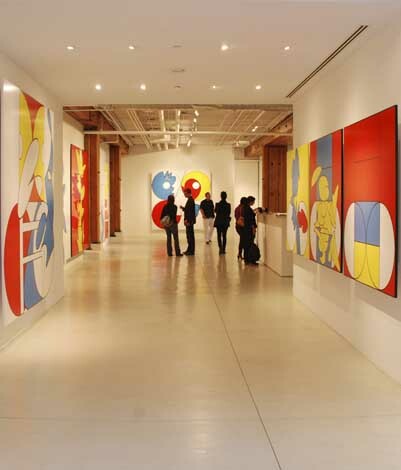 “My image-art can be characterized as paradoxical space that undermines ‘point of view’,” Adi Da wrote. “That undermining allows for a tacit glimpse, or intuitive sense, of the transcendental condition of reality—totally beyond and prior to ‘point of view’”. 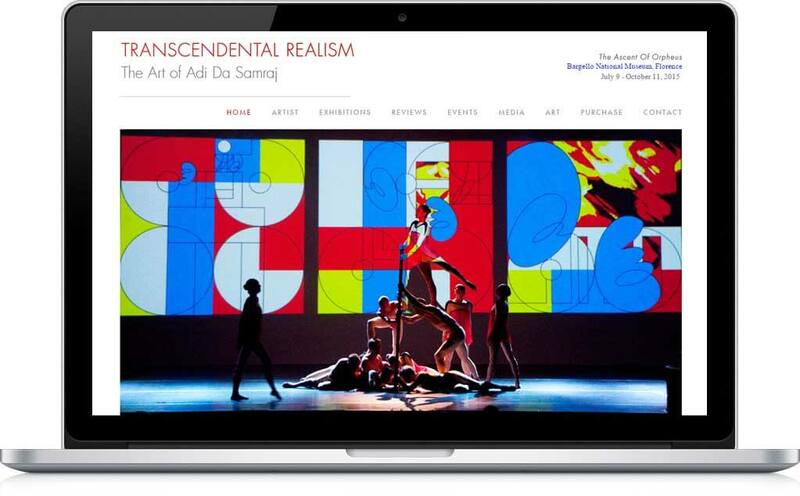 Adi Da’s art has been exhibited in museums and galleries in Europe and the United States. 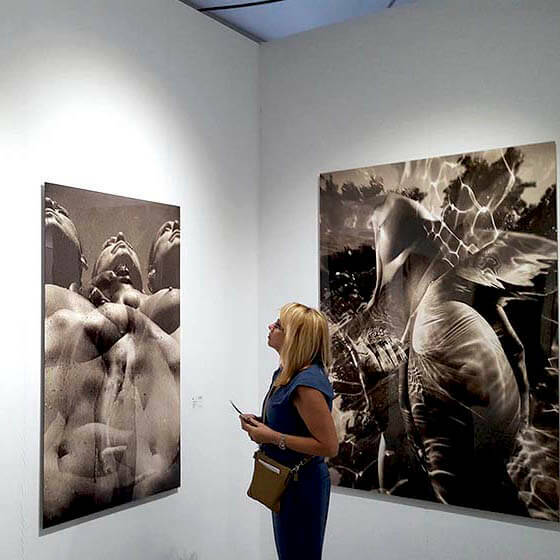 His art was featured in an official solo collateral exhibition at the 2007 Venice Biennale, and his exhibition The Ascent of Orpheus: Between and Beyond Representation and Abstraction was exhibited at the Bargello National Museum in Florence in 2015. Adi Da is a rare artist—one who can convey, convincingly, being face to face with the source of Being. True art heals. True art restores equanimity. Art must regenerate the sense of well-being. That is its true purpose. The Orpheum: The Tragic History of the Recent Return of Orpheus is a trilogy of novels that are also intended to be enacted theatrically. 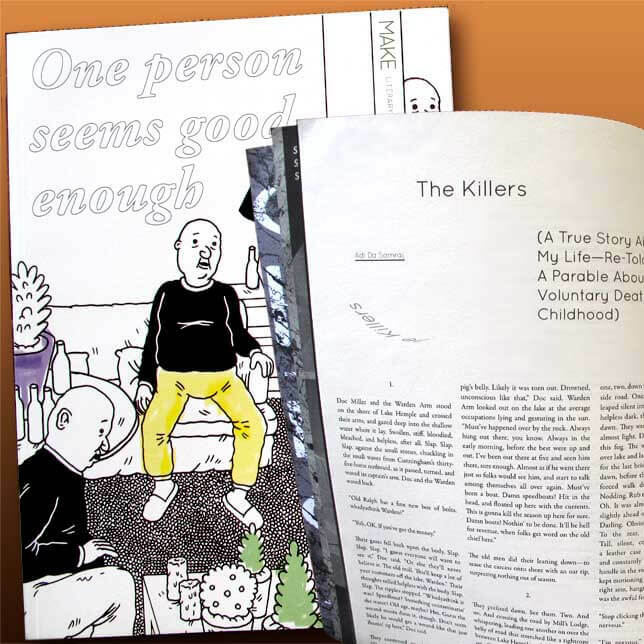 The novels tell the mysterious and heartbreaking story of the life and death of the “Great Sage” Raymond Darling—and they are designed to draw the reader or viewer into what Adi Da called the “maze of ecstasy”, wherein the separate self is understood to be a fiction, a false presumption or myth, arising in the indivisible radiance of Reality Itself. The Mummery Book [Book I of The Orpheum trilogy] is brilliant in all its aspects. It would be hard to express my happiness at the way it breaks and exposes the heart of the world. Living and working as a writer for many decades, I have not encountered a book like this, that mysteriously and unselfconsciously conveys so much of the Unspeakable Reality. 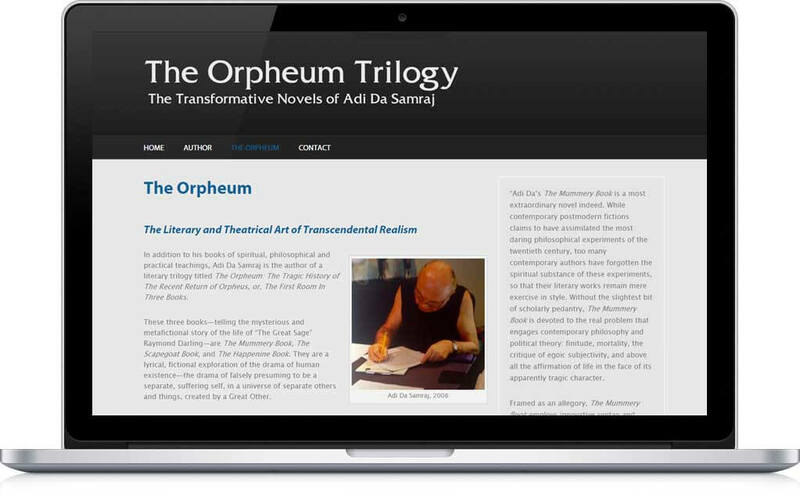 Visit The Orpheum Trilogy website for a sample of Adi Da's literary artistic work. The Orpheum Trilogy is a Self-Portrait of Reality Itself. It's not about anyone in an egoic sense. It's a Reality matter, a Divine matter. It's about the Love-Blissful Nature of Reality Itself. From the day I first encountered the writings of Adi Da (as Da Free John) in the mid-80s, I knew I that I was reading a contemporary religious genius. The writings of Adi Da Samraj . . . are the most doctrinally thorough, the most philosophically sophisticated, the most culturally challenging, and the most creatively original literature on radical nonduality currently available in the English language. In a world beset with innumerable challenges, Not-Two Is Peace offers a new vision for the future. 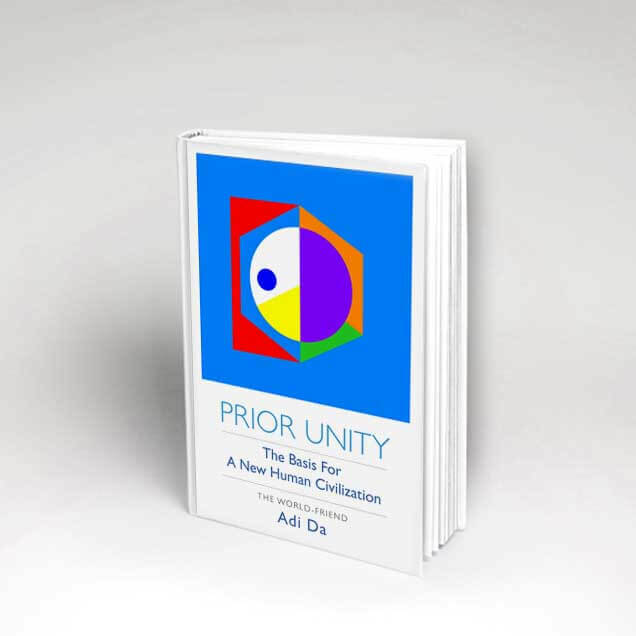 Adi Da emphasizes “prior unity” as the basis for our decisions and actions. If we proceed with putting the interests of the whole of humanity first, then there is the possibility of growth and development for the nearly seven billion people on the planet, not just a privileged minority. Such wisdom cannot be ignored. Through his artwork, Adi Da is redefining the nature of art, returning art to its ancient, sacred origins. 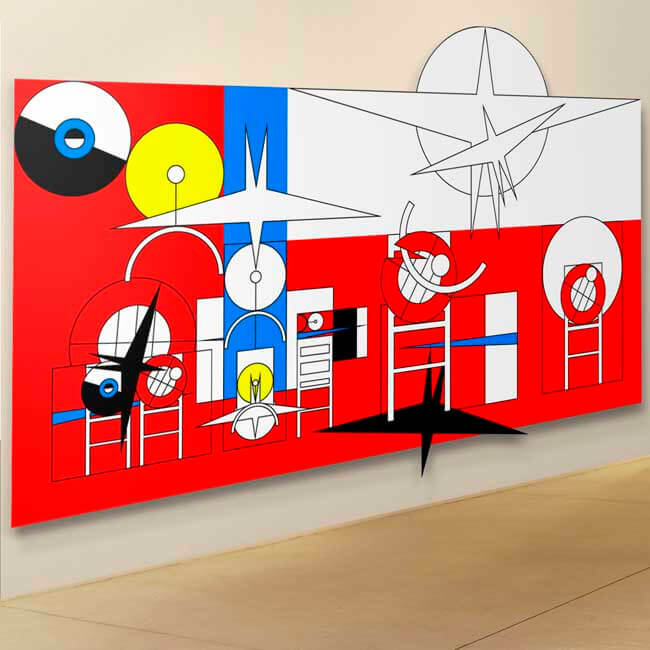 In his remarkable, transformative artwork, viewers are being given both an embodiment of Adi Da’s realization, and an opportunity to experience the ecstatic unity of creation. His images…offer a truly rare opportunity for revelation. If you have any questions or comments about the Adi Da Foundation or about the life and work of Avatar Adi Da Samraj, please contact us via the contact form or the email address below. Thank you.